What happens in a country that is proud of its long-standing tradition of favoring human rights? What is wrong with the UK that it is fighting an institution that is admired by people from all around the world and considered as a fortress of defending fundamental human rights in Europe? It comes down to two judgments of the ECHR which have caused huge outrage in the UK: whole-life sentences without review and the right to vote for prisoners. The reception of these two cases has been so distorted in the British public that the ECHR has become extremely unpopular and is constantly attacked by the yellow press and the Tories, the British conservative party that is moving ever more to the right under the pressure of other nationalist movements in the UK. Whole-life sentences should be reviewed. Even for most heinous crimes, there should be a review mechanism for those sentenced as it came up in the case “Vinter v UK.” Such a review mechanism does not exist in the UK when a person is sentenced for the whole life. This is in contrast to the Convention and the ECHR struck it down in July 2013, and a review in the UK is needed. Therefore, after a certain amount of time, like 25 years, the UK would need to offer some kind of review for those sentenced for their whole life which does not mean that they would actually need to be released as it is often portrayed in the British yellow press. In any case, British Justice Minister Grayling announced that the UK will not move on this issue. The right to vote of prisoners in jail. British law does not allow prisoners to vote which is, not surprisingly, against the Convention and the ECHR decided in several cases against this practice in the UK, the latest in 2010 in the case “Greens and M.T. v UK.” However, a ban on prisoner voting is “not negotiable” for the British government, only some minor changes have been proposed. In the British yellow press it is portrayed that all prisoners should get the right to vote – something which the court never said. However, a blanket ban preventing all prisoners from the right to vote is inconsistent with the Convention. The British Parliament voted in 2012 by a huge margin in favor of the ban, in line with opinion polls. British MPs claimed that British law would be made in Strasbourg which is certainly nonsense because there a lot of possibilities on the table of how to deal with that issue and find a solution. Even the UK’s own Justice Select Committee said that Britain has an “international legal obligation” to allow some prisoners to vote and it would risk its reputation for human rights if it continued to defy the judgment. If that happens so and the UK will not execute the judgment, it is inconsistent with international law and the European Convention. This would be a precedent that might cause a lot of unintended consequences how human rights are observed and protected in Europe, and maybe around the world. However, let us get the facts straight. A great article in The Guardian sums ups why the ECHR is so important. Coming into effect in 1953, the ECHR has reached well over 10,000 judgments in favor of European individuals who could not exercise a fundamental human right in their country. The court is open to 800 million people from 47 countries who all can apply at the ECHR if they feel their rights have been violated. A fair criticism towards the court has been how slow the cases were handled and the huge amount of cases that were waiting in line. However, by streamlining its work, the court’s judges delivered nearly 1,100 judgments in 2012 and the court is hopeful to further reduce the backlog of cases. Thanks to the judgments, member states (including Russia and Turkey) were prompted to change and adapt national laws and procedures so that it would not be in breach against the European Convention of Human Rights. The court is the safeguard and protector of the convention in order to protect Europeans from abuses and was drafted in the spirit to overcome human rights abuses as it happened in all European countries during and before WWII. It is definitely worthwhile to read the 17 rights and freedoms protected thanks to the Convention that have led to many achievements in the various member states. It secures the right to life, a fair trial, freedom of expression, thought, conscience and religion, but also respect for private and family life and the protection of property. It prohibits torture, degrading treatment, forced labor, unlawful detention and discrimination. In short, it guarantees basic human rights. It is quite ironic from today’s perspective that the UK government and the British public at large are so skeptical of the ECHR because it were not least Britons who were prominent in drafting the convention and helping to set up the court in the first place. Clearly, judgments are not really explained to the British. On the opposite, the anti-European sentiments that are stronger than ever in the UK with a tone of defending British sovereignty that is under threat. ECHR decisions are politicized in the UK – as it is done nowhere else in Europe. Just a week ago, in mid-January 2014, the president of the court Dean Spielmann was grilled on BBC’s “Hardtalk” with arrogant but brilliant Stephan Sackur. “We are a little bit disappointed,” answered Dean Spielmann diplomatically when asked what he thinks about the current British debate. He pointed out that case law is not a binding precedent for the UK Supreme Court but should be taken into account. The Convention is a living instrument that is constantly interpreted. One can criticize this approach but as times have changed over time, the Convention has to be adapted to the changing circumstances as well. Importantly, Spielmann underlined that the ECHR does not create new rights as such but does give new interpretations to the Convention in the light of changing circumstances. The big question remains now if the UK will leave the ECHR when it is not going to comply to the procedure. There is not much that the ECHR can do about it. If there would be fines, the British government will not pay them, it has already declared. However, not executing the judgment is a violation of international law. Would the UK be thrown out of the Council of Europe? This is a political question. However, as the UK openly plays with the thought of leaving the ECHR, it would lose a lot of credibility. It shows that the UK will not honor its treaties and cannot be trusted for further treaties in the future. Other countries, inside and outside of the Council of Europe would interpret such a move by the UK as the right to formulate any laws and defend it in the name of national sovereignty. 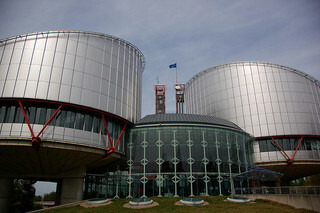 The UK has shown more contempt towards the ECHR than any other nation as the former ECHR president Sir Nicolas Bratza argued when he stepped down in October 2012. Bratza wrote to have a “profound regret” that his own country is so critical of the court on a consistent basis during the past years. In fact, Bratza claimed that no other country than the UK dares to criticize the court so regularly and overtly. Part of Britain’s attitude can be explained by a different conception of the law. Judges in continental Europe are the guardians of written constitutions and overrule politicians while in the UK the parliament rules and cannot be questioned by judges. However, the root cause is somewhere else in this debate as the UK objects so strongly to a small number of ECHR rulings and thinking about pulling out of the convention altogether. It is the wrong sense of national sovereignty that is reigning in the country. It not only has undermined the relationship with the European Union but now might even go a further step by leaving an institution that stands up for human rights. It would certainly be a mistake for the UK to do so with unintended consequences for the institutional defense of human rights at large. It is not too late yet, sanity can still return. best practice that the UK has full sovereignty to adopt (and cancel its international commitments): death sentence. What are they waiting or are they just wimps (i mean the decision makers)?